Halima Aden’s career continues to gain momentum. 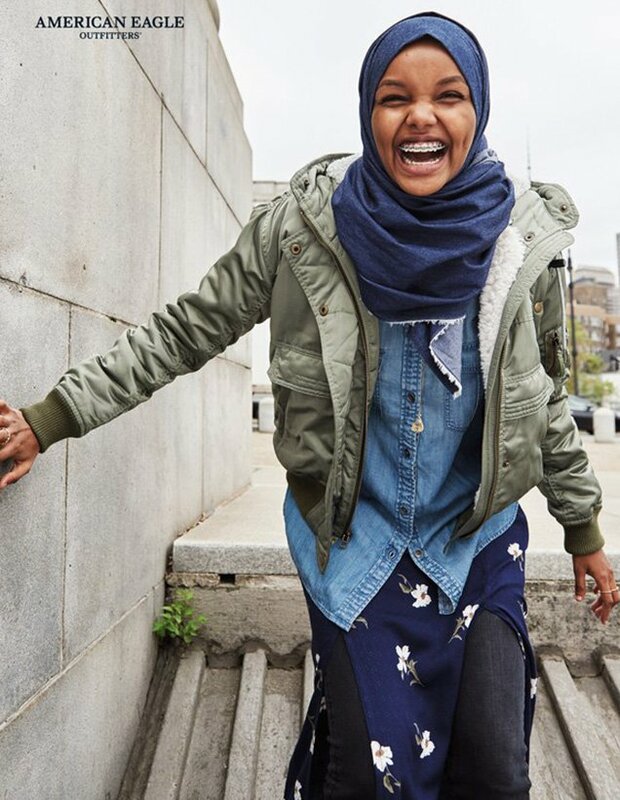 The Somali-American, hijab- and braces-wearing model — who’s graced the covers of CR Fashion Book, Vogue Arabia and Allure and walked the runways of Max Mara, Alberta Ferretti and Yeezy — stars in American Eagle’s new fall campaign. “If you talk to her, she believes in pulling out the authenticity of whoever she’s shooting, and reflecting that back,” American Eagle EVP and CMO Kyle Andrew has said of Cass Bird’s style. “Authentic” is one way to describe the photos. We’d also add “cool” and “unexpectedly chic” (at least compared to the brand’s pre-Laird + Partners campaigns). We particularly love that Bird spotlights Aden’s adorable, silver-lined grin. In most editorials, we’re shown a soulful-eyed, flawless-skinned, full-pouted version of Aden. 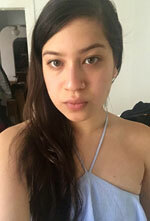 A laughing, unself-conscious smile looks much more natural on the famously friendly teen. Once again, the brand that spearheaded the anti-retouching movement knocked it — it being its latest diversity-celebrating campaign — out of the park. Scroll down for more #ICAN campaign imagery.